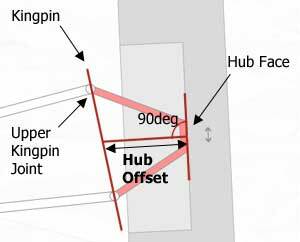 Hub Offset or KP / hub offset is the distance between the face of the hub and the kingpin along the line of the spindle. 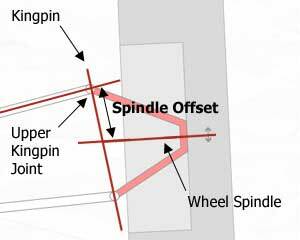 Spindle Offset or KP / Spindle Offset is the distance between the upper kingpin tether and the point at which the spindle would meet the kingpin or where in modern cars the spindle attaches to the upright. 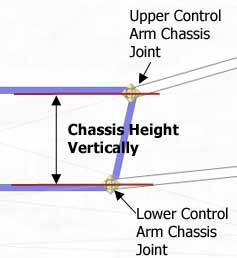 Chassis Height Vertically is height difference between the LCA (lower control arm) chassis joint and the UCA (upper control arm) chassis joint measured vertically. 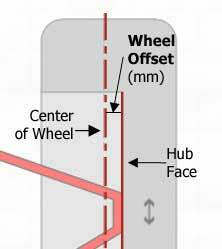 Wheel Offset is the distance measured in mm between the center of the width of the wheel and the hub face. 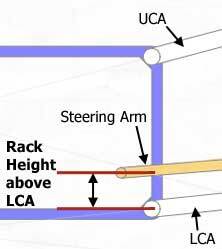 Rack LCA offset or Rack height above LCA is the distance vertically between the LCA (lower control arm) chassis joint and the steering rack / steering arm joint. 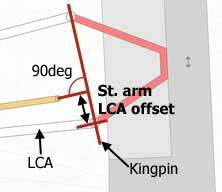 St. arm LCA offset is the distance along the line of the kingpin between the LCA (lower control arm) kingpin joint and a line perpendicular to the kingpin drawn from the steering arm kingpin joint. 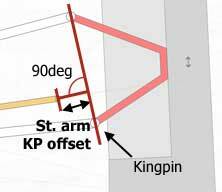 St. arm KP offset is the distance along a line drawn perpendicular to the kingpin from the steering arm kingpin joint to the line of the kingpin. what exactly is roll center? Thanks in advance. That's a big question. mathematically, it's the theoretical point of convergence for each of the control arms. It's distance from the CoG has a dramatic effect - //www.racingaspirations.com/suspension-jacking-forces and it shouldn't move around too much when the suspension is working. There's plenty of info on the internet from people far more qualified than me... Even on this site. 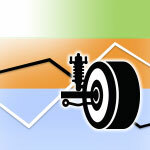 Is track width measured between inside edge of tires, centerline of tires, or outside edge of tires? 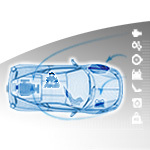 Within the Weight Distribution Calculator it is the outside of the tyres. 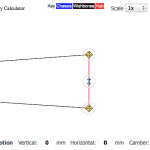 Within the Suspension Geometry Calculator it is the centreline. 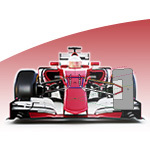 I'm struggling with the dimension system on wheel/tyre height, can you explain please. Within the dimensions from vehicle the standard sidewall height of the sidewall measurement being a percentage of the tire width is used. Thank you for the first reply. My problem now is accurate location of the Lower King Pin pivot. I know its dimensions from the hub face, stub axle centre line and upper pivot but am seeing no provision to enter them, other than via LCA length and scrub radius. Am I missing something? Hmmm yes I see what you mean. Do you know the length of the lower control arm? If so, you can drag the lower kingpin pivot until the kp offset and Lca length are correct at which point the lca bearing will be correct. 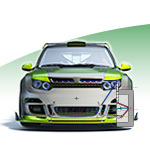 Failing that you can use the ISO or SAE input methods to calculate the positions relative to the center of the chassis / center of the wheel. I’ll look into adding some more dimensions which may help in the future.